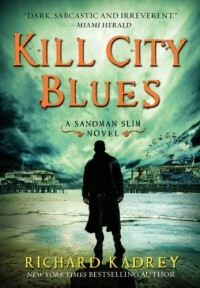 Of all the books thus far, I found this to be...the weakest.Sandman Slim is...happy. I am not sure if I like him happy...I mean of course we want him to be happy, he has been in hell. But do we REALLY want him to lose that edge? But things are looking up and its not exactly a happy ending. And this is still one of my favorite series. If you want something different read it!! I will keep on reading as long as there is a Sandman Slim.